This one’s been out for a long time, but I never miss a chance to promote it as it’s among my favorite games. 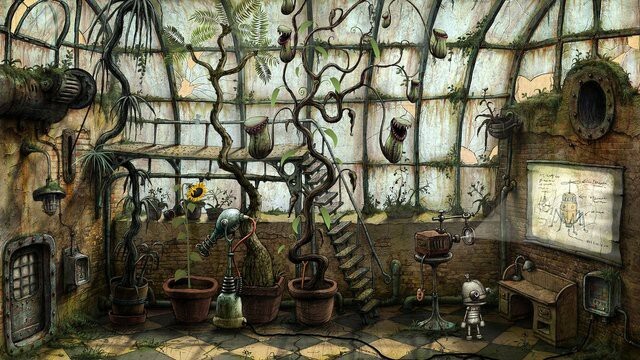 Amanita Design, makers of Botanicula and the Samorost series, once again brought us something truly special when they made Machinarium. 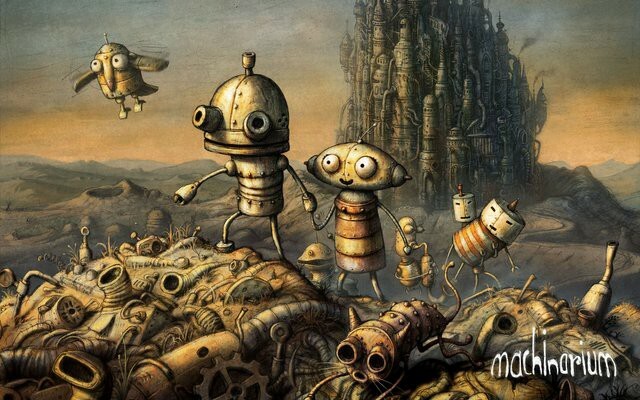 Machinarium takes place on a world that is dead, except for robots. 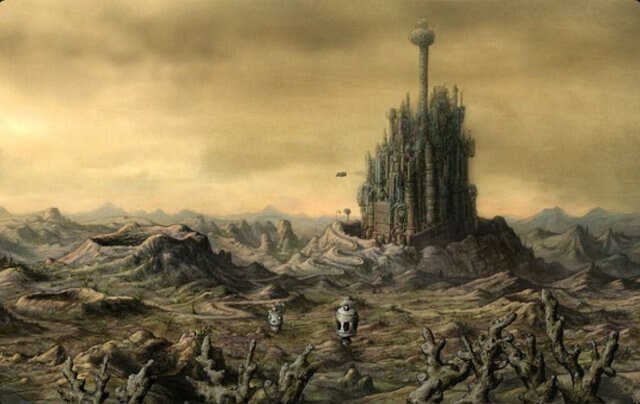 Perhaps all that is left of human mechanical creations which survived whatever cataclysm drove their creators extinct, these robots now have a bustling city and culture all their own. Perhaps at first this strikes you as a depressing premise for a game, but it’s not about us. It’s about the robots. It’s their time on the Earth now, and the’re making the most of it. The city absolutely teems with activity, every individual robot going about its daily routine. They play music to earn a living. They gamble. They go to church. They operate toll booths. 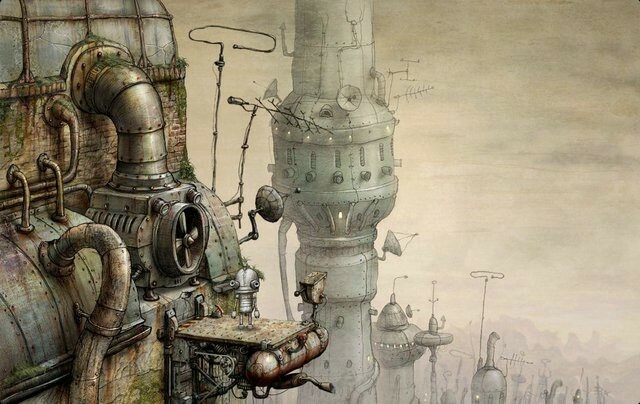 Besides the captivating art, what makes the world of Machinarium so special is how alive it feels. How authentic and strangely believable. Our intrepid hero, Josef the Robot, has a number of tricks up his sleeve. His body can extend upwards or contract downwards like a telescope. This ability is utilized in several puzzles. He can store things inside his mouth, and various other cute robot-appropriate tricks. The characters designs are as standout as environmental design. Every robot is different and has its own appeal. Often they appear to be made out of recycled junk, like wrenches or old automobile parts. 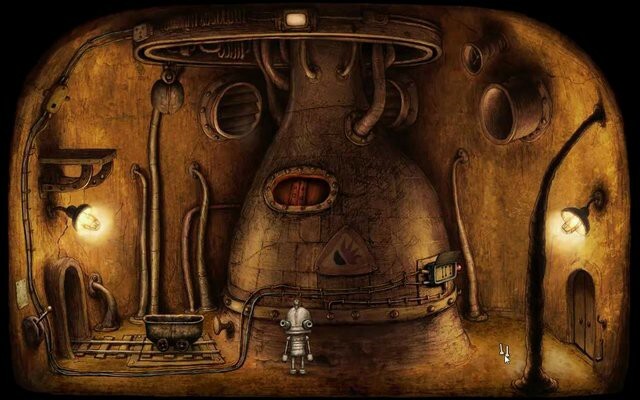 At its core, Machinarium is a puzzle adventure game of the point and click variety. It is best played on a tablet, though playing with mouse control on a PC gives you more accuracy. The puzzles are tough but logical, and you’re given a hint book which makes you beat a simple minigame to earn each hint. This is a sensible way to discourage players from consulting the hint book as their first resort, any time the solution to a puzzle is not immediately obvious to them. I did become frustrated a few times, but that only increased my satisfaction upon determining the solution. It will come more naturally to those players with an engineering mindset, as of course the puzzles typically revolve around repairing or manipulating machinery, with a few exceptions. One of those exceptions involves changing the time on a clock tower to cause different church services to occur. Another involves growing plants in a greenhouse. Evidently, even in a city built out of machinery and inhabited by robots, some citizens still have a green thumb. It raises certain questions about how widespread plant life still is on this world, but makes for an excellent puzzle. A great deal about this world is mysterious, and it never lets up. Most of your questions will never be answered, but it isn’t about exploring the history of this world. There’s a specific narrative at the fore, with Josef searching for his girlfriend Roberta who has been imprisoned in a tower. Like any good narrative though, it’s not as simple as it initially appears. 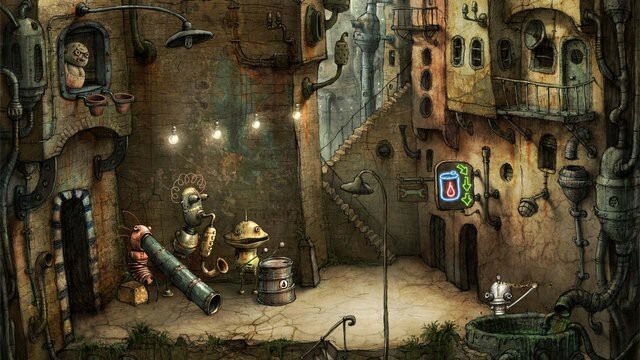 While going about rescuing Roberta, Josef discovers an insidious plot to take control of the city from a sort of elder “brain bot” who is the rightful ruler. Most of the difficulty I had was when the game would add new elements I didn’t expect. Sneaking sections, or puzzles dependent upon timing and speed for example. But the more it tried to stop me, the more eager I became to press on, if only to see more of it. This world is really intoxicating, and to this day I still want more of it. Amanita Design seems to have no intentions to make a sequel, which is gutting. 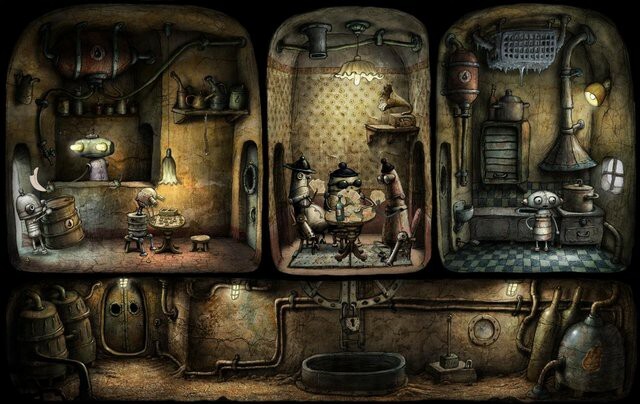 They just keep making more Samorost games. 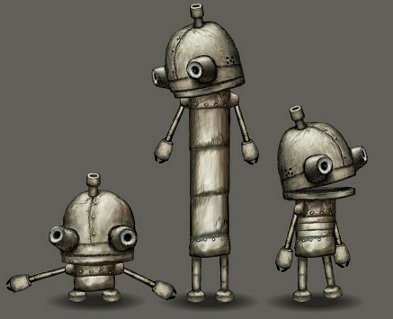 Not to knock those, they’re great too, but I specifically want more Machinarium. It’s one of those rare games you’ll really treasure, both while you play it and long afterwards. I knew even after the first area that I was playing a true gem, and that I’d be depressed when it was over. 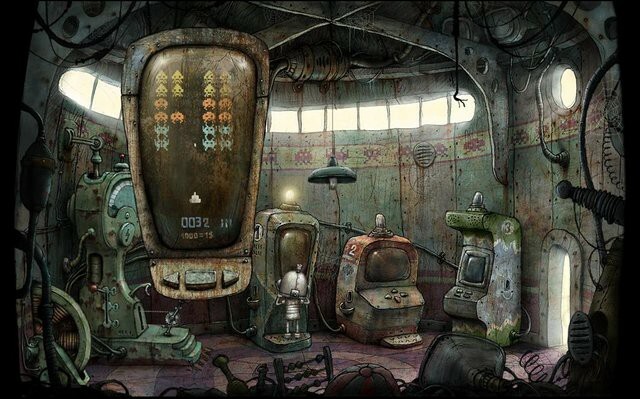 I recall taking breaks to savor what I played, if only to make it last longer. Everything about it is expertly crafted. It oozes polish and personality. It’s available on damn near everything, so there’s little excuse not to play it, especially given that the price is just $2.50 during the Summer sale. It’s an amusing, adorable and fascinating adventure you won’t soon forget. I want to give it a 10 out of 10 but increasingly I wonder how meaningful numeric ratings even are for something this subjective. Sufficed to say it’s unique, challenging and wonderful. You’d be depriving yourself if you passed this up. With the Summer sale bringing the price down from $10 to $2.50 there’s hardly a better time to pick it up. I’m prepared to guarantee you won’t regret such a decision. Games like this don’t come along every day. Follow me for more like this! And why not read one of my stories? I post text here, often accompanied by images and sometimes video. People then clap or don't depending on whether they enjoy what I posted.